In Horses: A Chart of Notable Breeds, Pop Chart Lab (previously) takes a look at 70 of the world’s most magnificent horses. 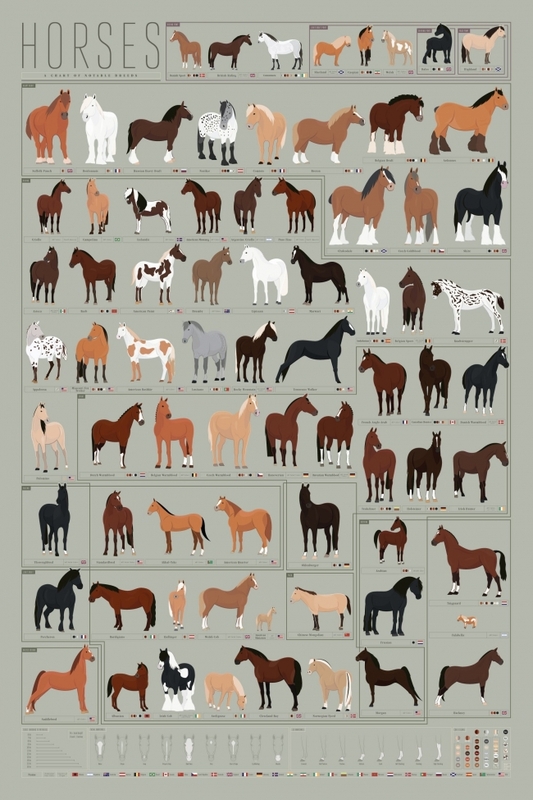 Lovingly illustrated and curated by our Research & Design team, this staggering stable of a print diagrams equines of all forms and functions, from the teeny-tiny Falabella to the muscular, majestic Mustang. It behooves us to inform you: pony up and snag one of these beauties quick—they may not be available furlong!